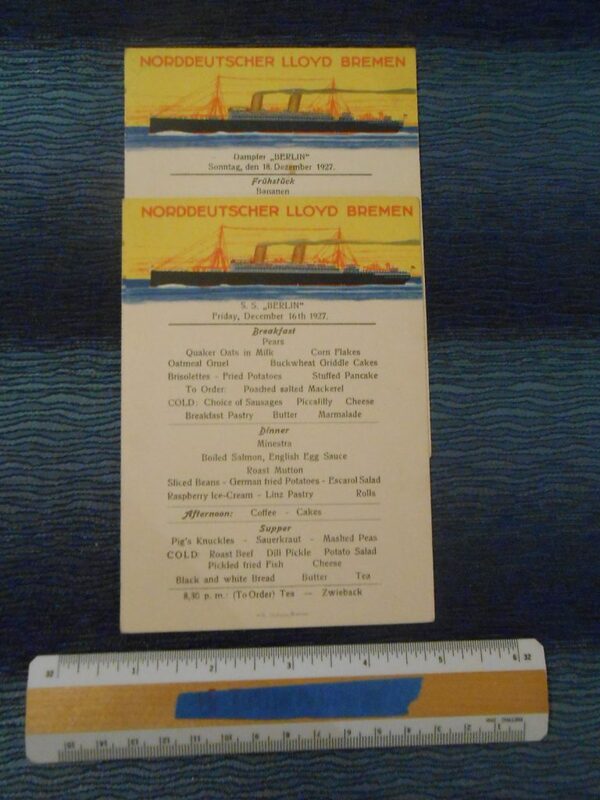 2 lovely colorful Berlin portrait mini menus from 1928. The graphics on these are just amazing. Certainly a stable money earner for the NDL fleet.